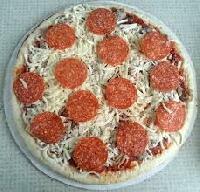 Ingredients : Cheese, Pizza Sauce, Fresh Dough, etc. 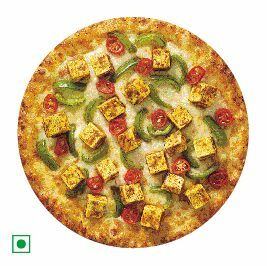 Ingredients : Peppy, Paneer, Cheese, Flour, Spices, Oil etc. 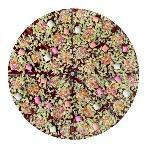 Its a chocolate pizza with a base of chocolate & a colorful topping for any occasion. available in 2 sizes regular & medium. 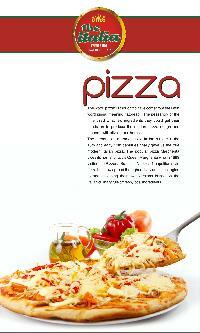 We are offering Pizzas.Made from Pan Pizza Base/Soft Pizza Base /Hard Pizza Base our Pizzas are covered with specially made Pizza Sauce and garnished differently before spreading Cheese. It is served hot. 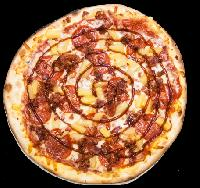 Pizza is a type of food that is loved by almost everyone. 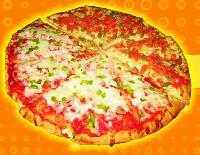 Our Veg Pizzas are baked to perfection using the right amount of ingredients. 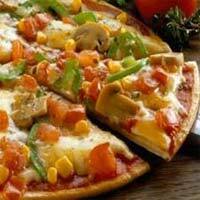 Our chefs ensure that each pizza is a delight to be relished. 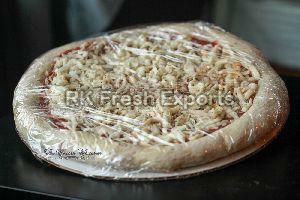 The packaging is done in such a way that the food does not get spoilt or damaged even during long hours of travel. Our client base includes various retailers and party organising firms from around the world. 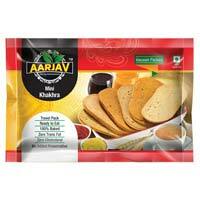 We offer Jain Pizza khakhra are one of the light spicy flavour, which are made for pure jain ingredient, which become crunchy preparation known for its unconventional taste and it makes for a yummy light snack for young generation, in this we using paprika, tomato trooping, and oregano and etc. Amazon Foods And Beverages Pvt. Ltd.